one friend has the habit of taking late supper. another friend & i decided to stay back & drink kungfu tea 功夫茶 & chit chat & laze around at out hotel room. anyhow when the 2 came back, 11pm+, we all decided to accompany this friend out for his supper fulfilment. 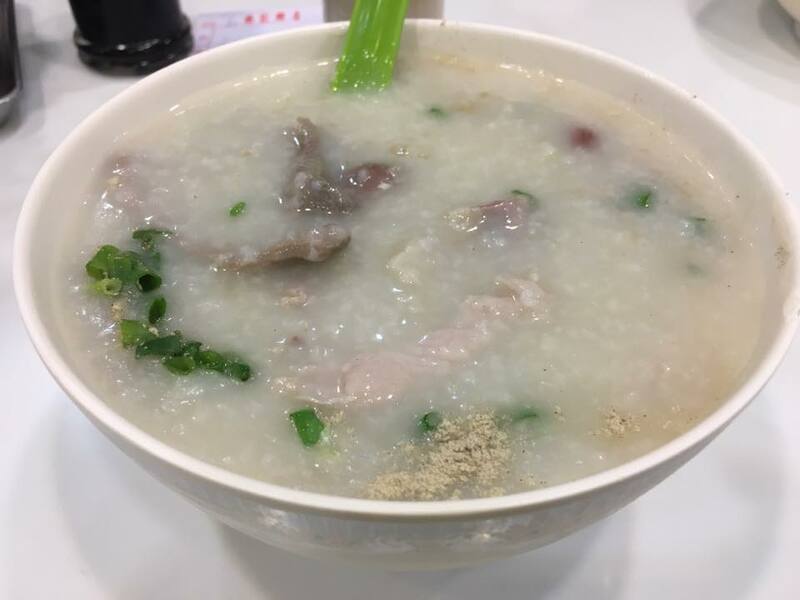 we also tried the 咸蛋蒸肉饼steamed minced pork @ sai kee congee 西記粥店. this was way too ordinary…like they say – bak chiu kam kam (close my eyes) i can do better anytime..not literally la..haha! 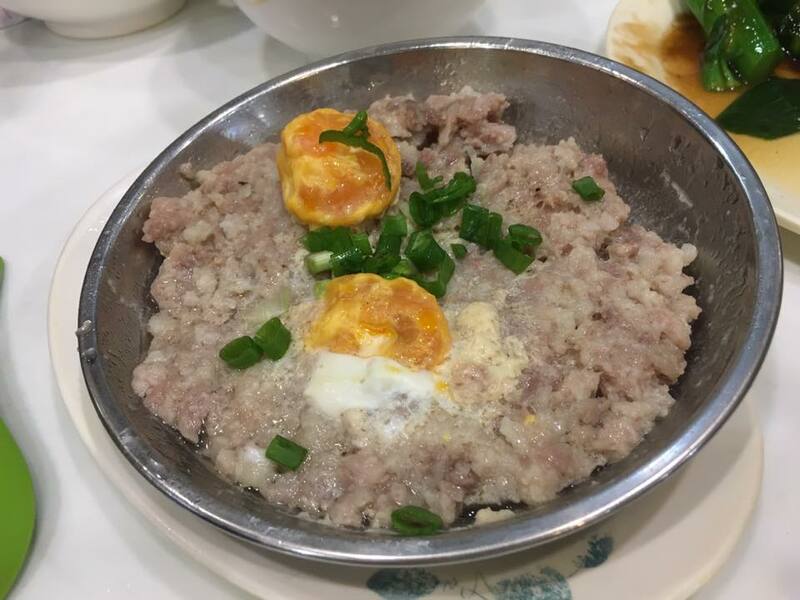 there is nothing to compare with the excellent dish at minsheng daipaidong 民声冰室. 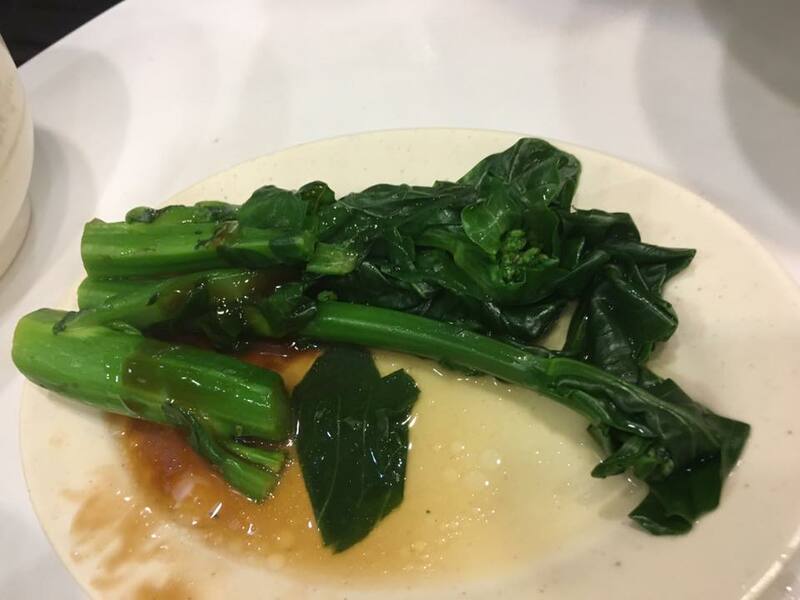 poached kailan was kind of standard…nice vegetable, not the best of preparation. 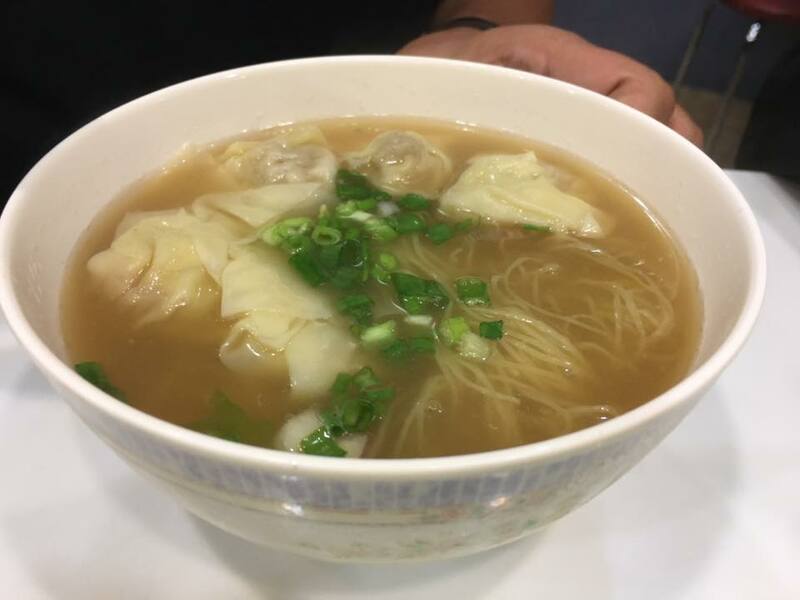 the friend who ordered the wanton noodles soup said it;s tasteless.